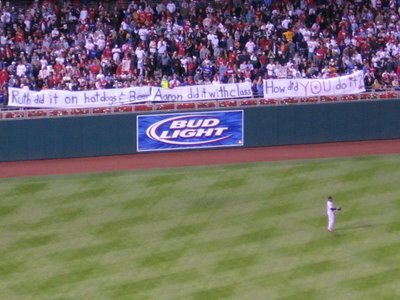 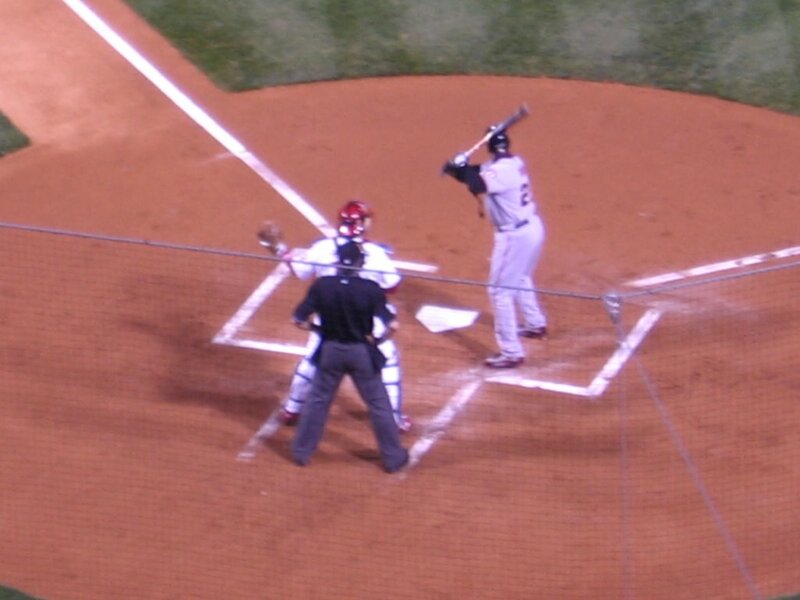 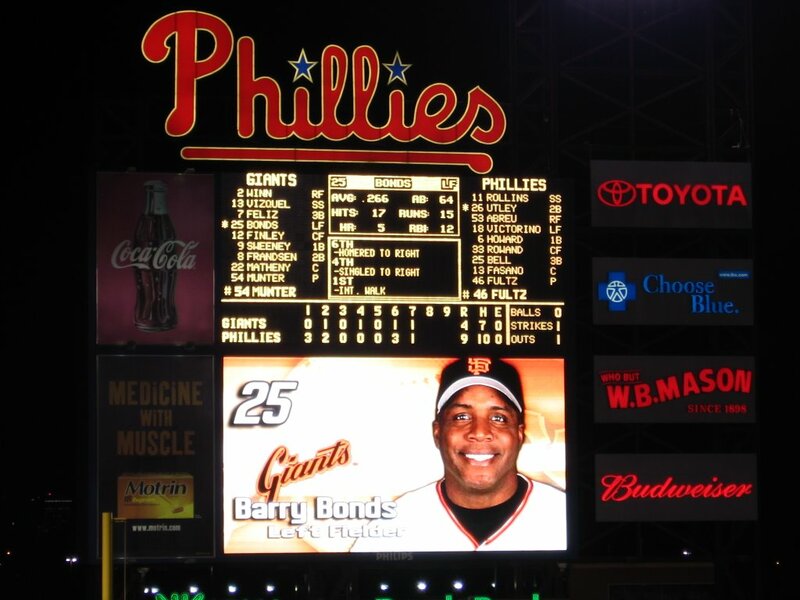 Went down to Citizens Bank Park on Sunday night to see the Phillies take on Barry Bonds and the San Francisco Giants. 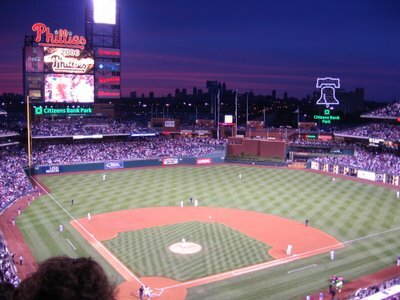 As a Phillies fan, I mainly went to see them go for their eighth straight win. However, I also wanted to see if Bonds—just two homers shy of Babe Ruth’s total of 714—could make history. Well, I saw the Phillies win their eighth in a row, 9-5. And I saw Bonds pull a little closer to Ruth with this titanic home run off the façade of the third deck in right field. Plus, I got to experience a Philly crowd in the presence of a much-despised individual, which is always entertaining…and somewhat embarrassing.